When records to be used for Remote Sessions are typically created, the owner of the record defines the connection parameters including Host, Port, User and Password. This allows the XTAM user to easily connect to this remote session with a single click, while ensuring the record’s are accurate. 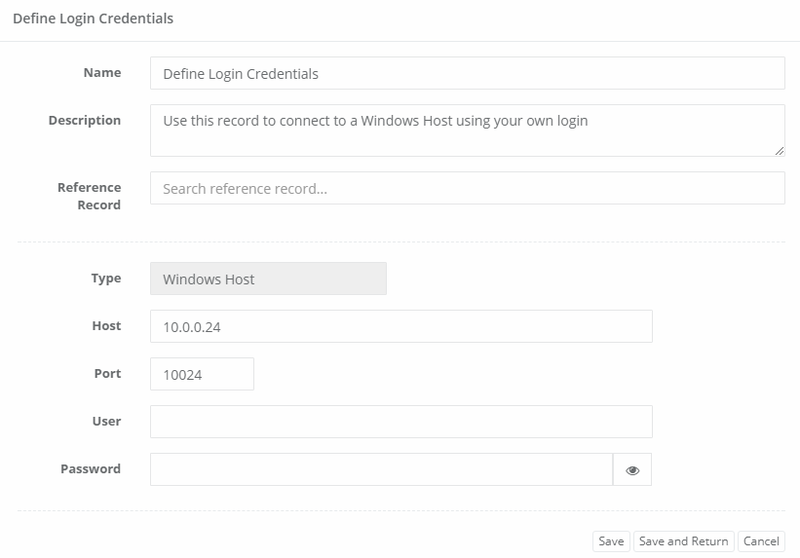 However, there are valid reasons where the record Owner would like the XTAM user to define their own host or user credentials during connection. This includes, but is certainly not limited to, Network Administrators who are used to or are permissioned to use their personal network credentials. If you would like to configure this type of record, then please perform the following procedure in XTAM and then share this record with your users. 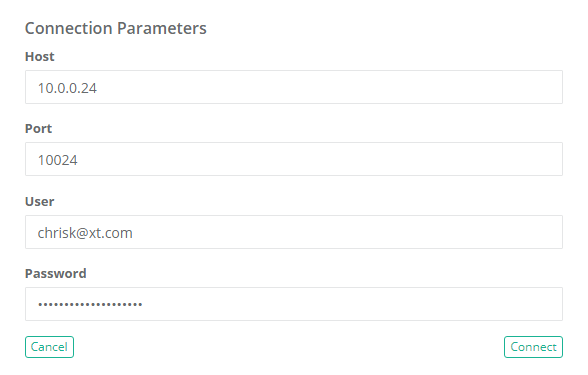 The ability to prompt users for connection parameters currently supports the record parameters Host, Port, User and Password. Login to XTAM as a user with the permission to create a new record. Create a new Record using the Add Record menu. Select a Record Type that contains the parameters Host, Port, User and Password fields. For example, Windows Host or Unix Host. Enter a Name for the new record (required). Enter a Description for the new record (optional). Enter a User for the new record. Enter a Password to the User for the new record. Click the Save and Return button to complete the record creation. 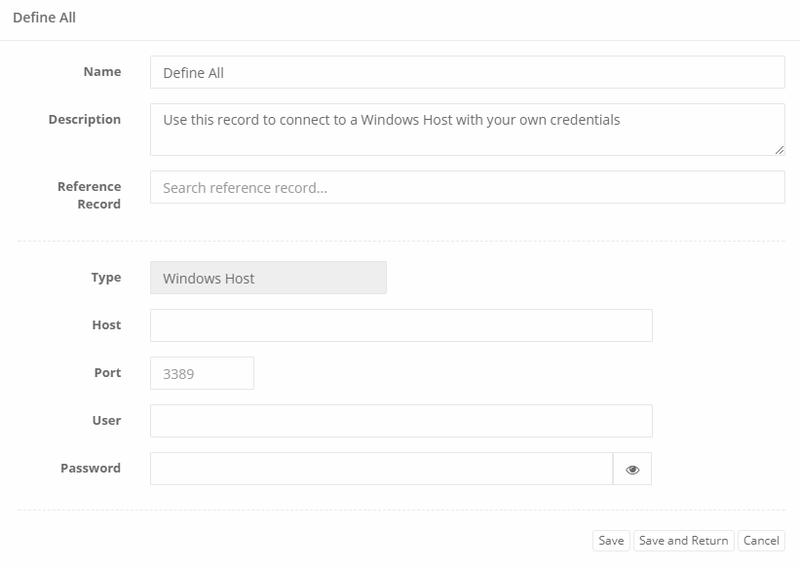 When a XTAM user clicks the Connect button for this record, they will be required to populate the Host and/or Port number to establish the remote host. The User and Password defined in the record will be used to connect. Enter a Host for the new record. Enter a Port to the User for the new record. 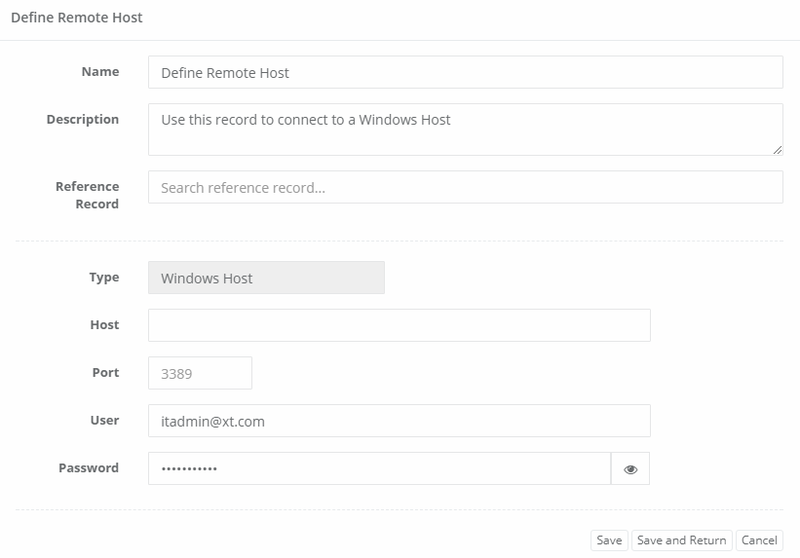 When a XTAM user clicks the Connect button for this record, they will be required to populate the User and Password to establish to establish the connection to the remote Host and Port already defined. When a XTAM user clicks the Connect button for this record, they will be required to populate the Host, Port, User and Password to establish the remote connection. The Audit, Session and Recordings will be captured in the same manner as if all connection parameters were pre-defined in the record.